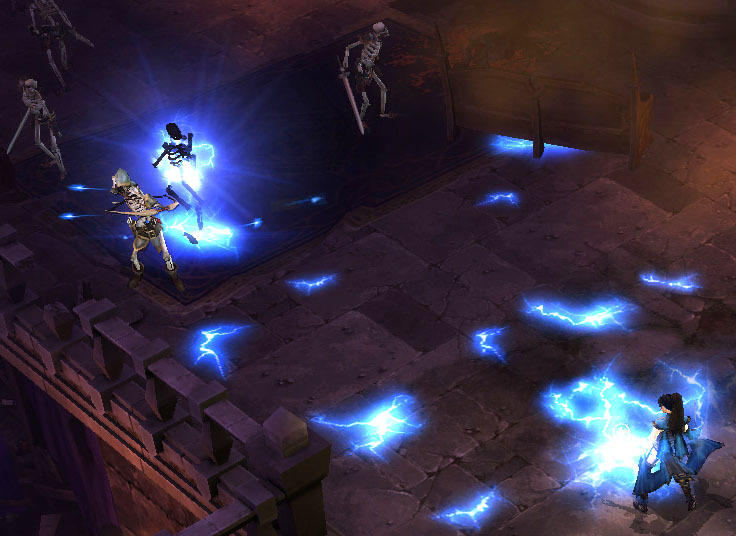 @Diablo engaged in the first real action of the new year today, with a variety of posts, most related to the Wizard’s Charged Bolt skill. As best I recall from using it at Blizzcon 2008, Charged Bolt in D3 felt very much like Charged Bolt in D2 (and D1). From the comment here, it sounds like the pathfinding was changed to a chaining, rather than a random scattering, at some point, and has now been changed back. It’s hard to say this without having tested the modified version, but it sounds lame. The whole point in Charged Bolt is that it sends out a huge (at high levels) scattering of randomly jittering little sparks, providing solid ground cover at the expensive of speed or targeting. A major change in the skill that shifted that would make it not really be Charged Bolt anymore, IMHO. Big changes to basic skill functions, like what @Diablo described, can/should be done with Runestones. Not with the default skill itself, IMHO. D3 getting clams is just more proof that it’s nothing more then a dumbed down copy of WoW, that game has tons of clams and also activision blah blah blah.